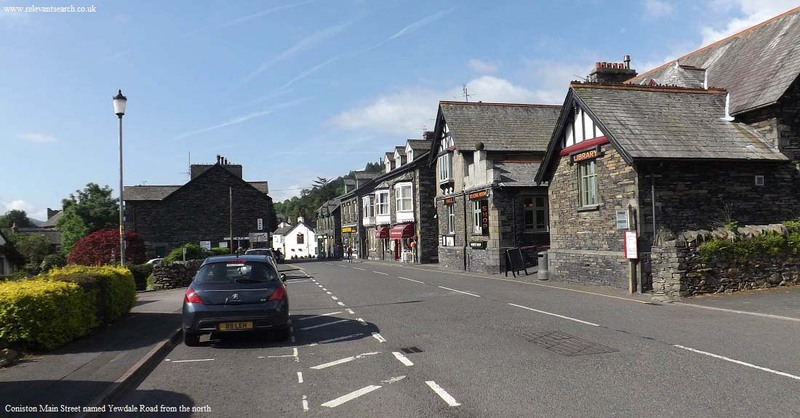 Coniston in the Lake District of England Attractions, Photos and Accommodation. 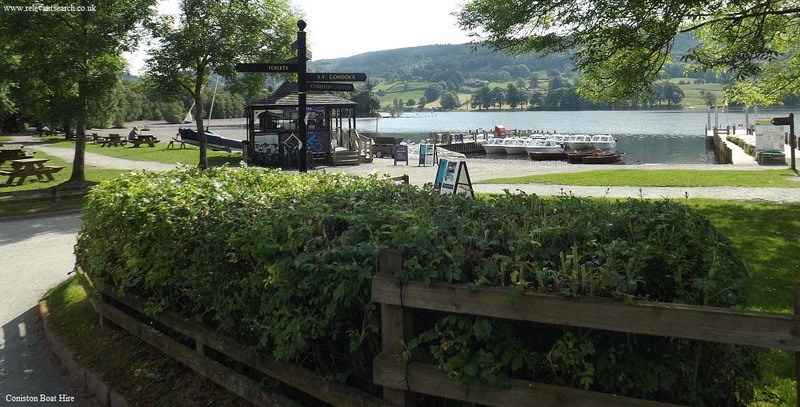 Boat trips, or boat hire on Coniston Water are the top attractions, as this is one of the most peaceful and scenic places in England. 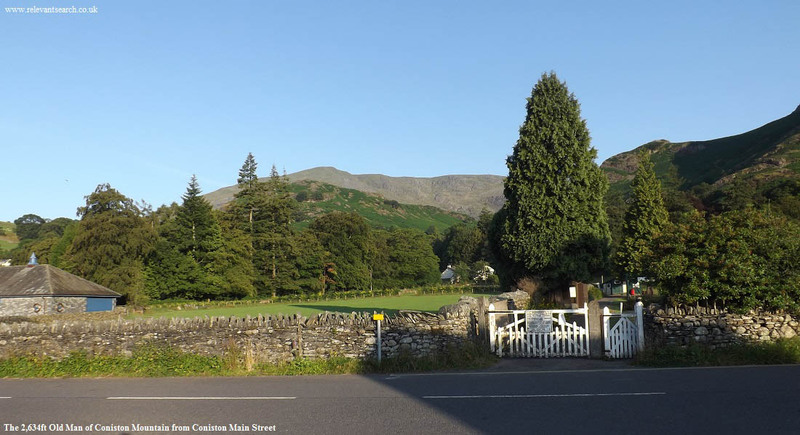 There are walking trails around the lake, and bikes can be hired for the biking trails around Coniston and the lake. The lake is just over 5 miles long, leading to it being used for water speed records from the 1930s to the 1960s. 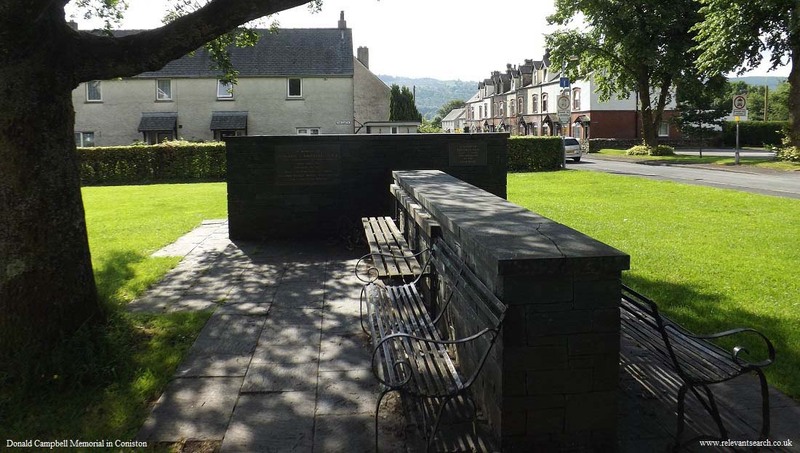 Donald Campbell died here on the 4th January 1967, after crashing on his second run in his speed boat named Bluebird K7. His first run made 320 mph. Bluebird K7 was not salvaged until 2001, Campbell's body was found later in that year. 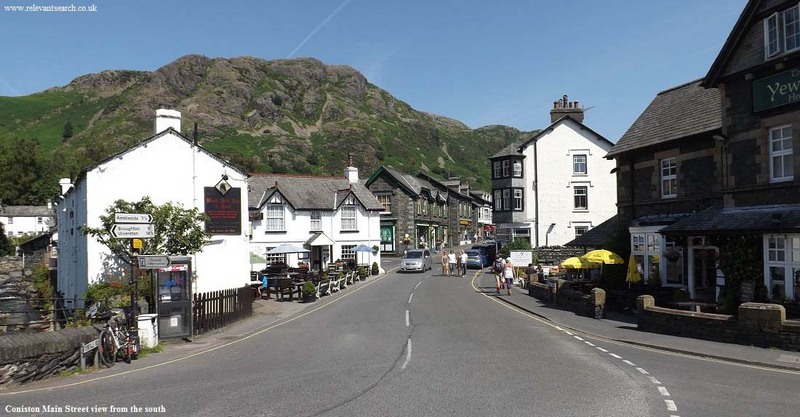 Another top attraction in Coniston is the 2,634ft high Old Man of Coniston mountain, that sits high above the village. This is the highest mountain in the south lakes, attracting hikers from all over the UK. Hike Photos & Information. 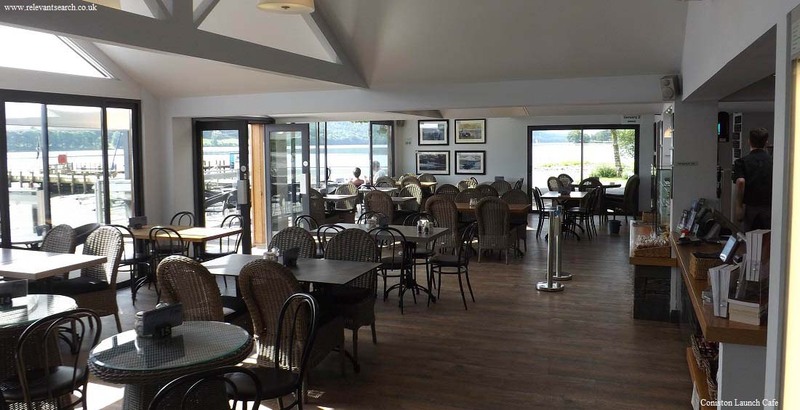 The village has 5 Hotels, most with beer gardens, and a few cafes, including the cafe at the Coniston Launch, with fantastic views over Coniston Water. 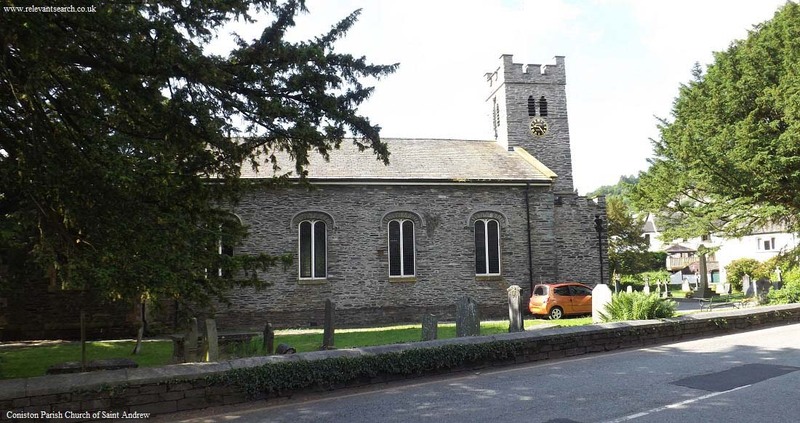 Attractions in the Coniston area include: The Coniston Ruskin Museum in the village centre . Brantwood House of the artist and poet John Ruskin on the east side of the lake Map . and Beatrix Potter's 17th-century farmhouse on the east side of the lake by Hawkshead . Map. Boat trips on Coniston Water can be taken on the Coniston Launch Boats, or on a Steam Gondola, run by the National Trust, as seen below. More Images: Coniston Beach . Boat Trips . Coniston from the Mountains .